I just spent 6 weeks in Madrid and had time to ponder why so many European cities seem so much more charming and livable than just about any American city. I decided it’s about cars, specifically the paucity thereof. I’ll be spending the rest of this year researching the comparative politics of incivility, inequality, and self-deception. Americans tend to think—and politicians tell them at almost every opportunity—that theirs is the greatest, richest, freest country in the world. Leaders seem to consider this description so self-evident that they rarely provide evidence, nor do their audiences demand it. A major reason is the absence of truly “global communication” in most American households. 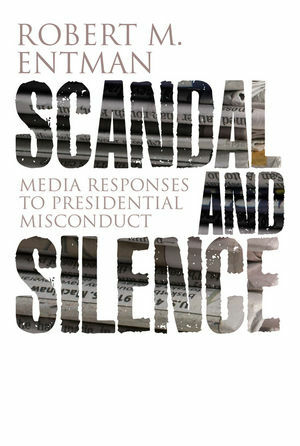 Most Americans seem utterly unfamiliar with the public polices, political practices, daily lives and living standards even of this country’s closest allies. When messages about France, Germany, Norway, Spain and even the UK do reach US media, their main purpose is often to disparage these countries—again without much evidence. A lot could be said about this but for now consider the car. In Madrid, just like DC, there are plenty of wide boulevards, where car traffic is heavy at rush hour. But there are also many, many pedestrian passages, plazas and narrow medieval streets that cars never or rarely traverse. 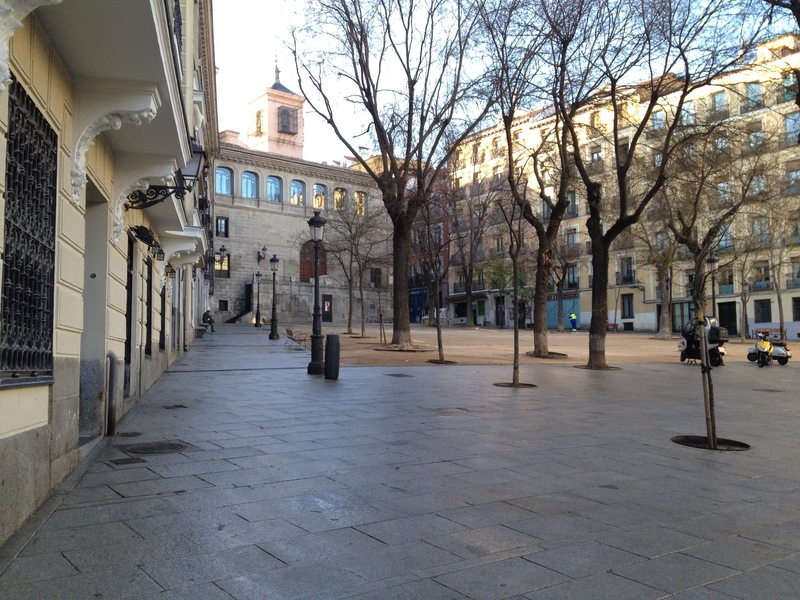 At least in the center, you can walk for several blocks, or sit out at a café on a plaza like the one I lived on (Plaza de la Paja, the oldest in Madrid—see picture) for an hour and not see or hear a car. You can enjoy being outside, as Madrileños do even when it’s cold, soaking in sun and (fairly) fresh air, communing with other people. No need as in DC to will yourself to block out the noise and aesthetic assaults generated by automobiles and trucks. Of course there are a hundred reasons for the greater charms of European capitals (not to mention the smaller towns): the high taxes on gasoline; heavy investment in mass transit enabled in part by far lower investment in military infrastructure; cities’ origins in the Middle Ages or earlier; lesser power exercised by Big Oil and the automaker lobbies; and so forth. 1) The arguments for Americans reducing reliance on cars are numerous and thoroughly familiar to those reading blogs like this: augmenting national security; reducing the trade deficit; cutting the indirect funding that guzzling gas provides to terrorist organizations and nasty regimes; slowing climate change. What’s significant is how marginalized—to the point of invisibility—those arguments are in our public discourse. 2) This in part reflects one area where America may indeed be the leader among affluent countries in one respect. I’d hypothesize (I’m not sure) that we enjoy the dubious distinction of the greatest isolation of our citizens from globally communicated information and globally shared (at least among the wealthy democracies) cultural assumptions. Among many other areas, this manifests itself in the political impossibility of even mentioning the option of raising gasoline taxes to, say, half of what Europeans pay. Gasoline here in Berlin runs about 1.6 Euros, around $2.12, per liter—about $8 a gallon. The difference between that number and what Americans pay is mostly tax. 3) Americans’ isolation from two-way global communication both reflects and reinforces their impoverished sense of such words as “greatest,” “richest,” and “freest” when applied to the US. I’m not saying this is anyone’s fault. Politicians and media can’t attack conventional notions of the normal until enough citizens share some assumptions and perceptions to make sense of the attacks. But citizens can’t develop such thinking unless their leaders and media provide the basis. If Americans could somehow plug into global communication more than they do now, perhaps the vicious circle might be interrupted. This entry was posted on March 7, 2012 by Robert M. Entman and tagged cars, cities, environment, Europe, Gas Mileage, Gas prices, urban planning.